Save 80% on the Eddie Bauer Nylon & Leather Trim Tri-Fold Wallet! 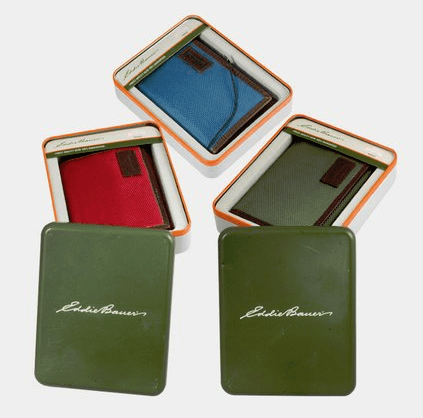 The Eddie Bauer Nylon & Leather Trim Tri-Fold Wallet (4 colors to choose from) is on sale for $5.99 at Tanga.com right now. That's 80% off the retail price of $29.95! Shipping is just $2.49 for this item!